Today I cleaned and primed all the rudder parts, then assembled, riveted and glued the trailing edge. 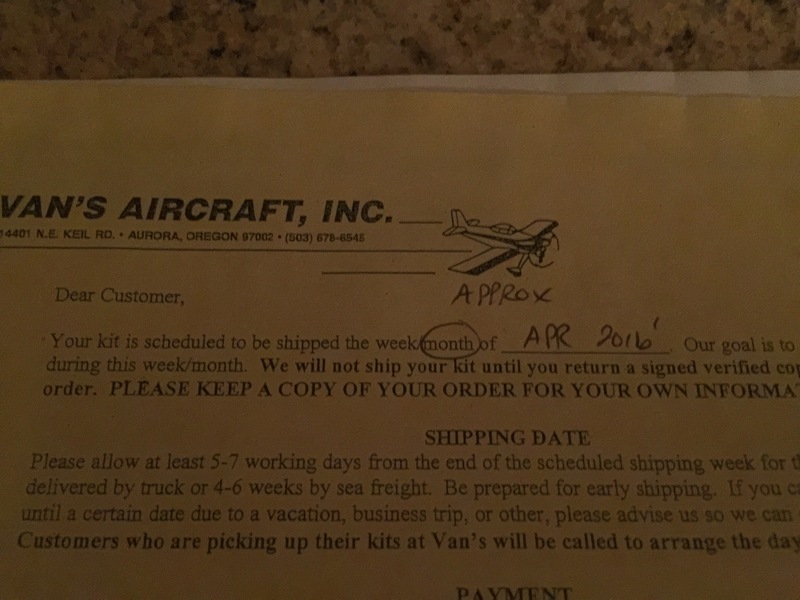 I also received the ship date for my quick build wings and fuse. 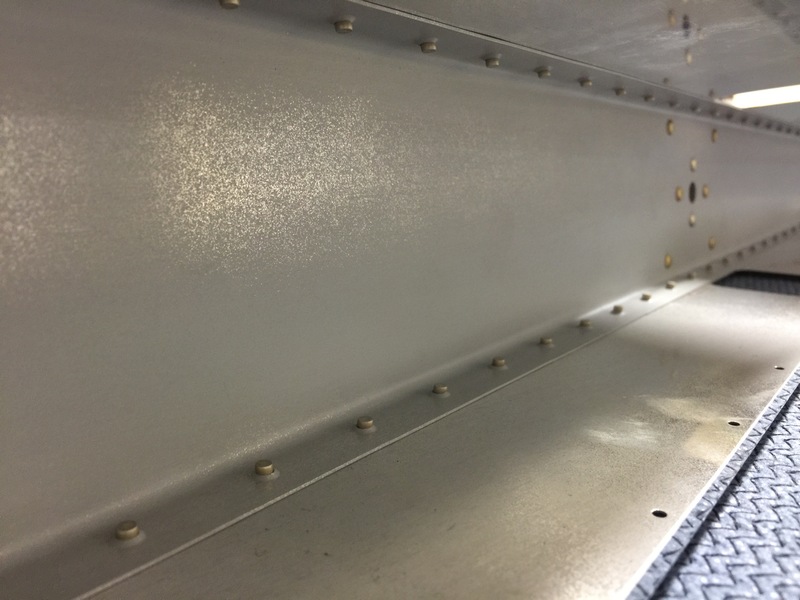 Here you can see the rivets on the reinforce the plate and the spar. The three reinforcement plate are all very similar. The hole in the center has a nut-plate riveted as well, this will accept the rudder hinges. 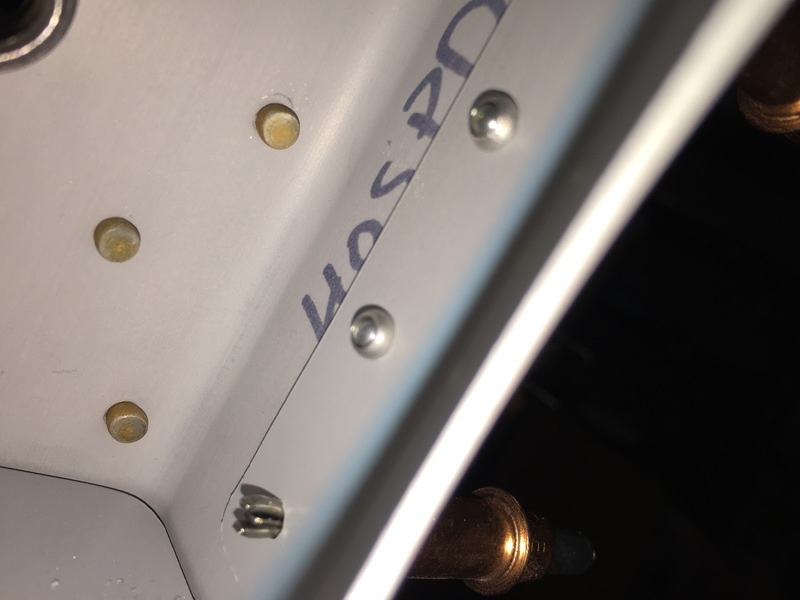 Here you can see the blind rivets holding the rudder brace. Also the shop heads of the lower reinforce the plate. 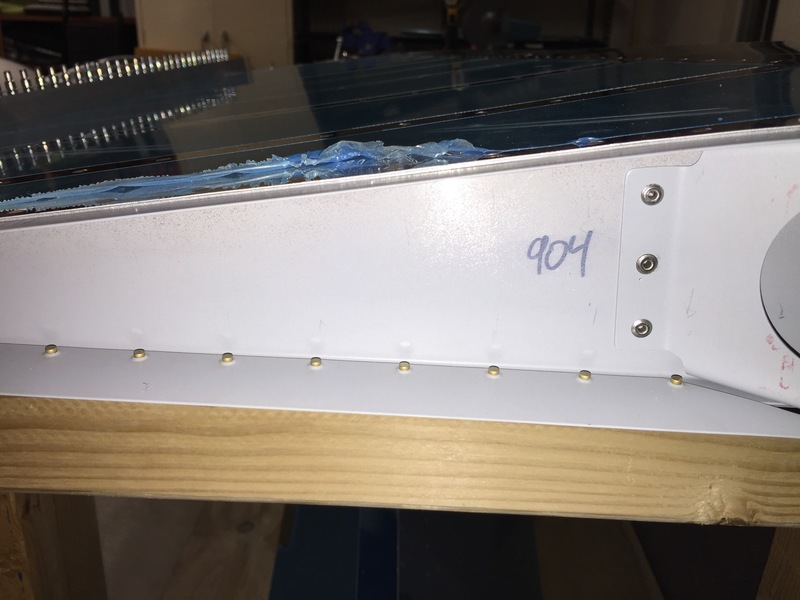 Here you can see the spar and skins riveted together. Here’s the lower rib riveted to the skin and lower faring flanges. 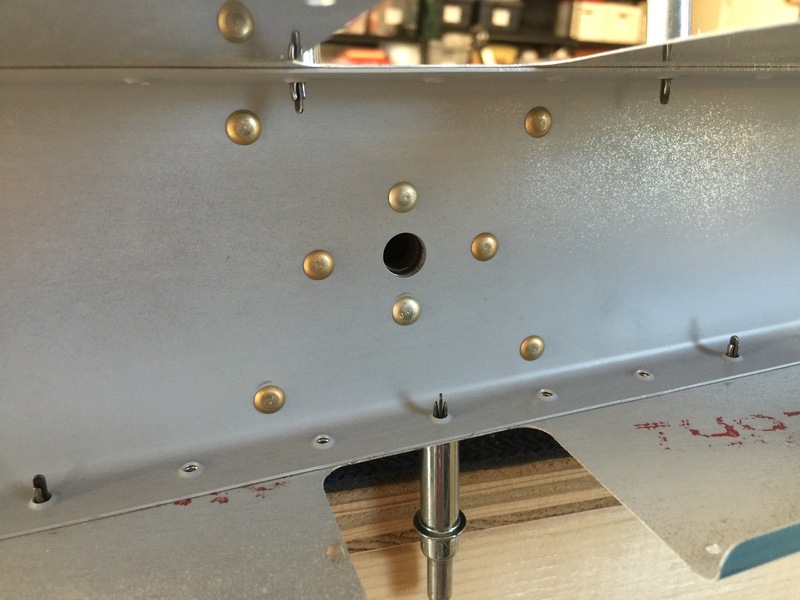 Also the blind rivets holding the rudder brace. A few days ago I bought some angle stock from Home Depot and match drilled them to the trailing edge. Here you can see it all clecoed together to check straightness. 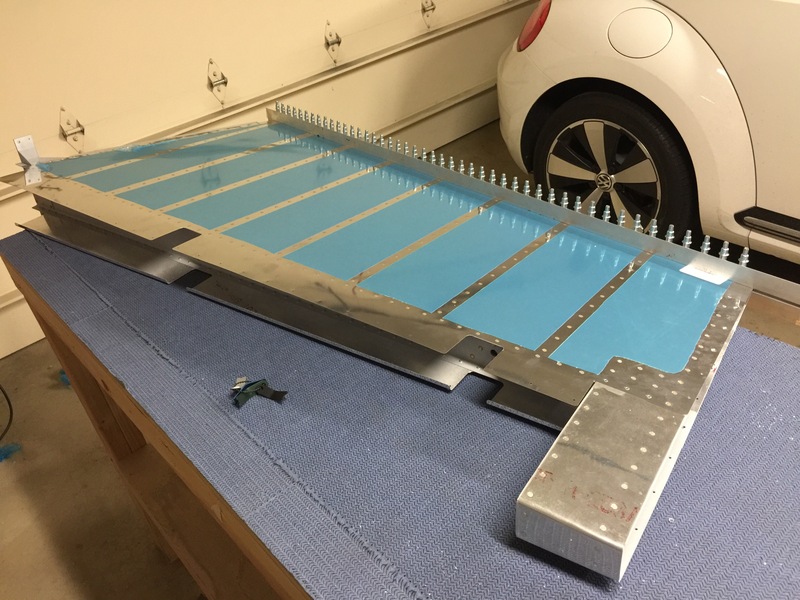 I then disassembled it and applied the sealant to the trailing edge wedge. It was extremely messy and sticky. Here you can see the trailing edge reclecoed and glued. 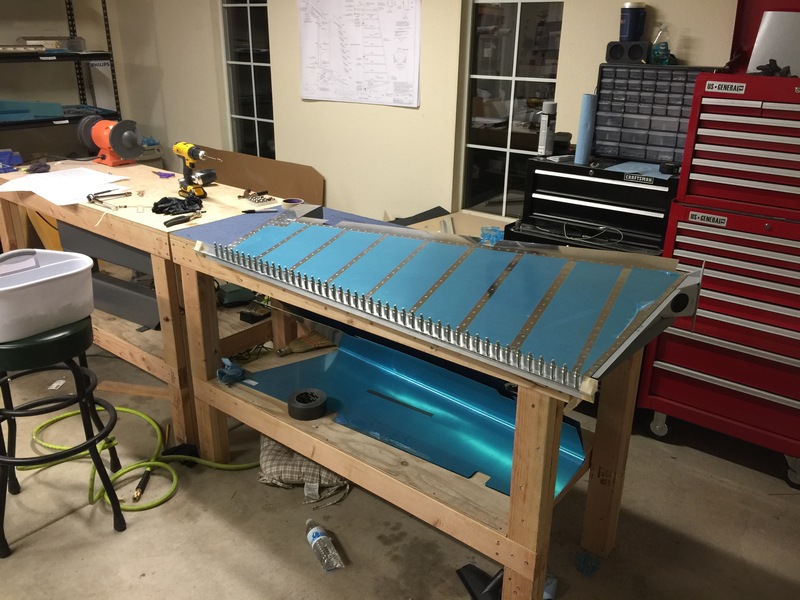 Once this cures in a couple days I’ll remove the angle and then I’ll be ready to rivet the trailing edge together. All in all I think the 7 hours I spent today were well worth it.